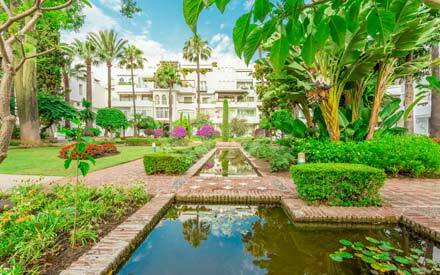 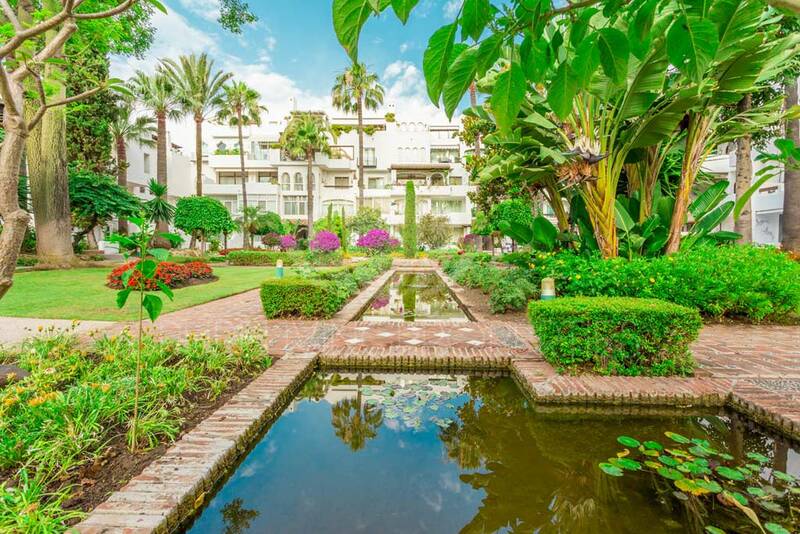 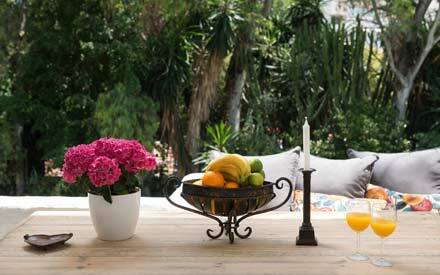 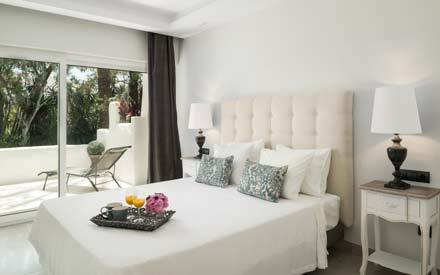 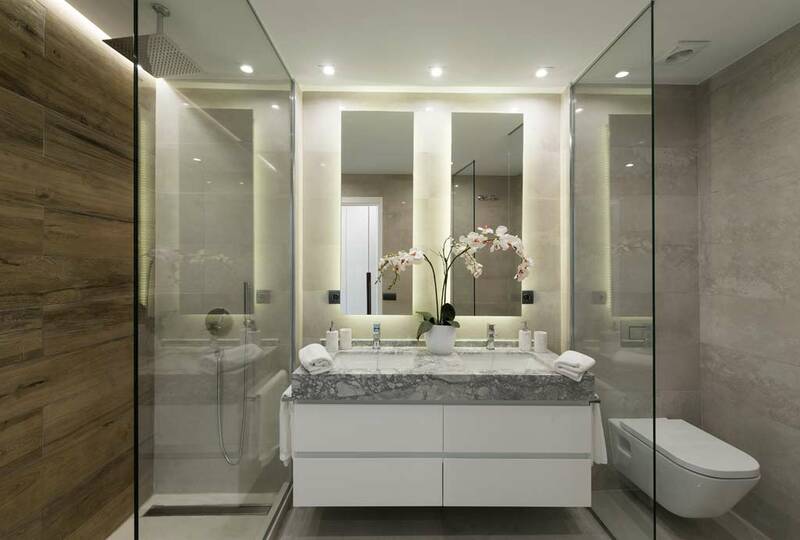 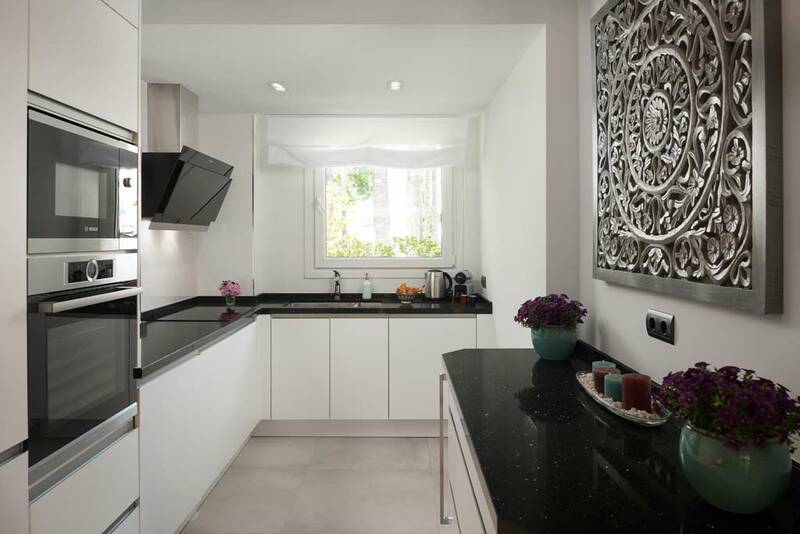 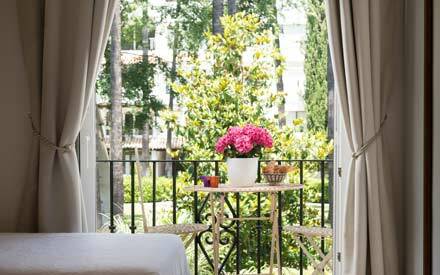 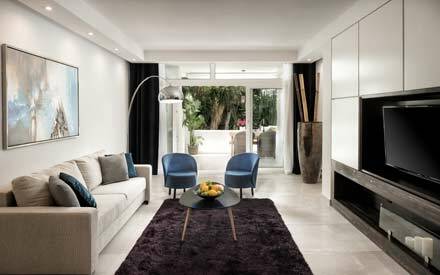 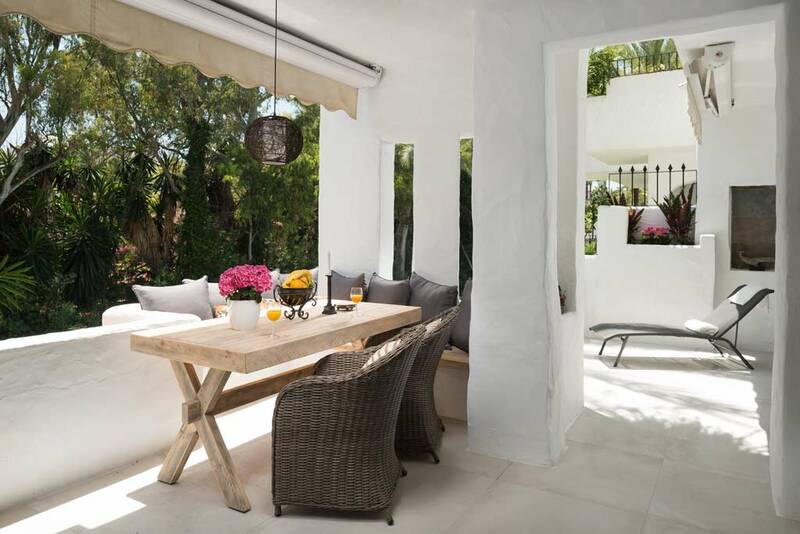 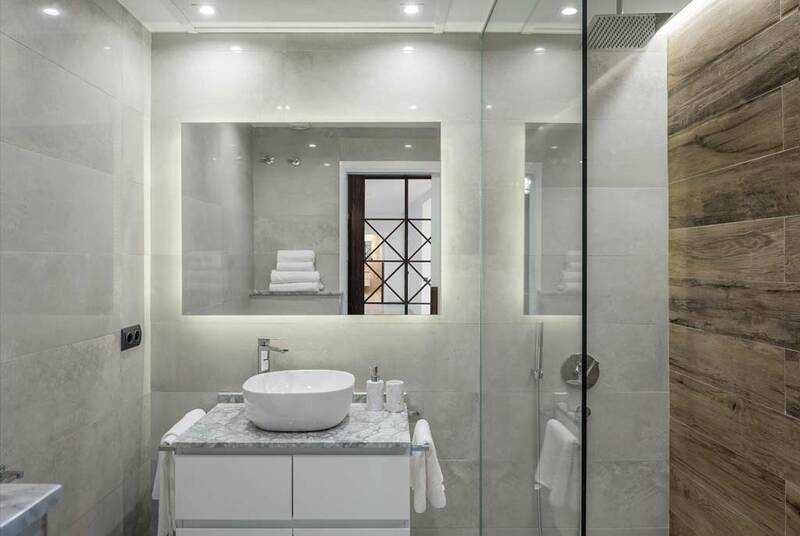 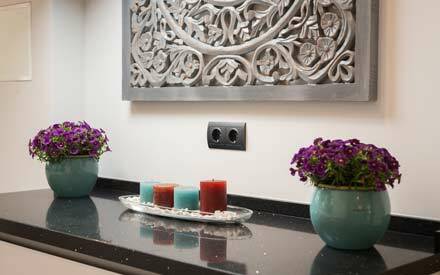 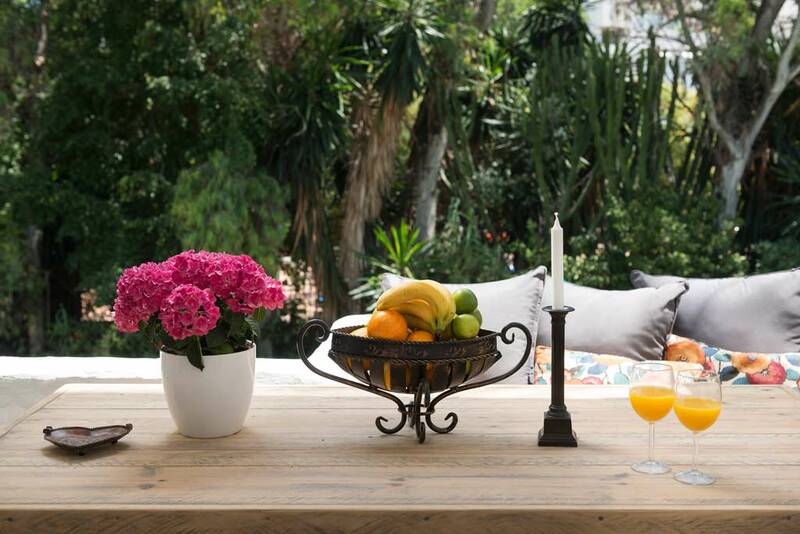 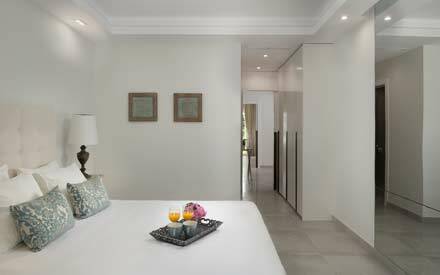 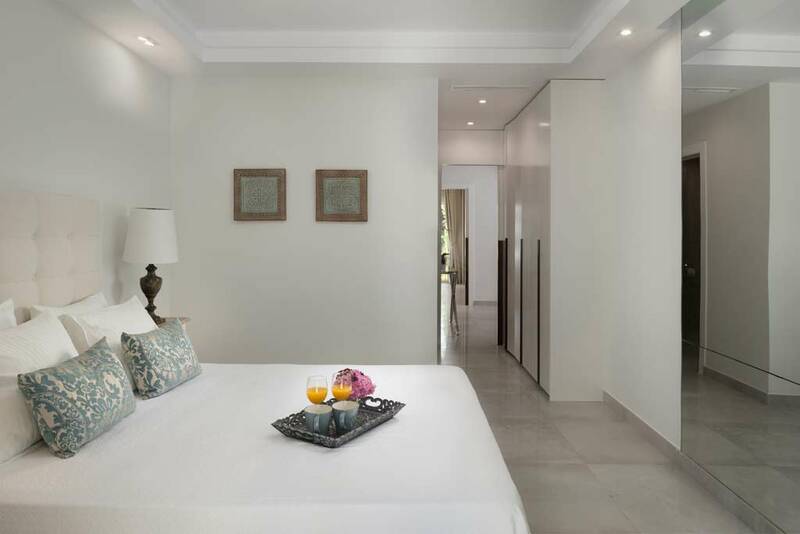 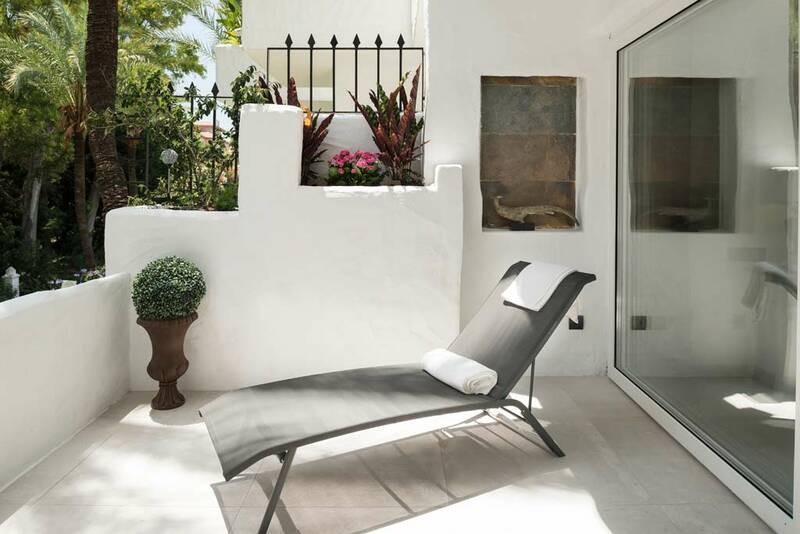 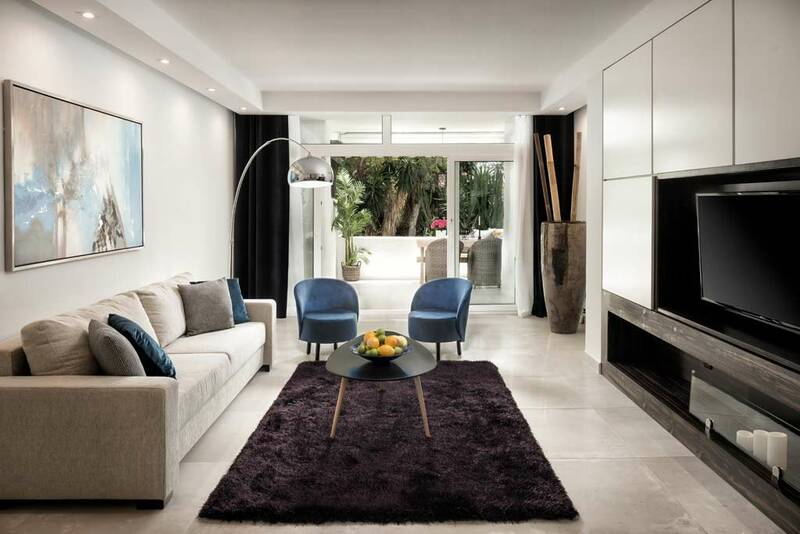 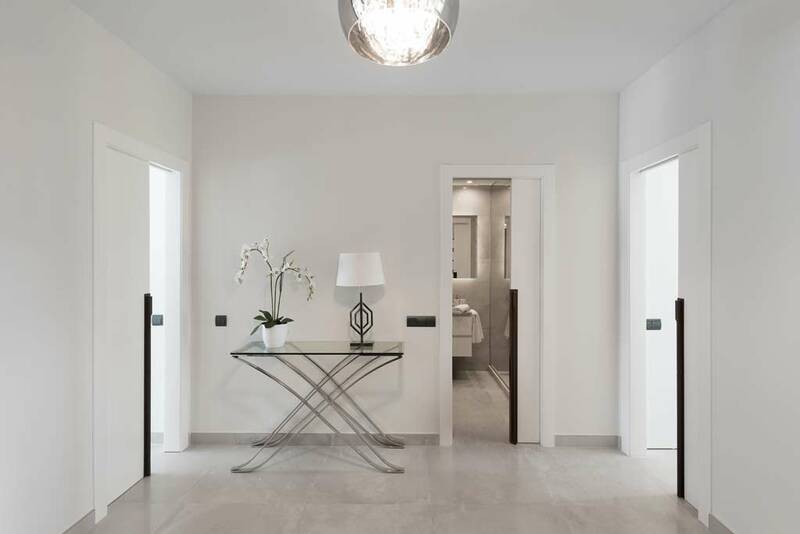 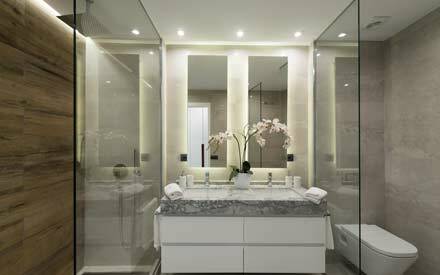 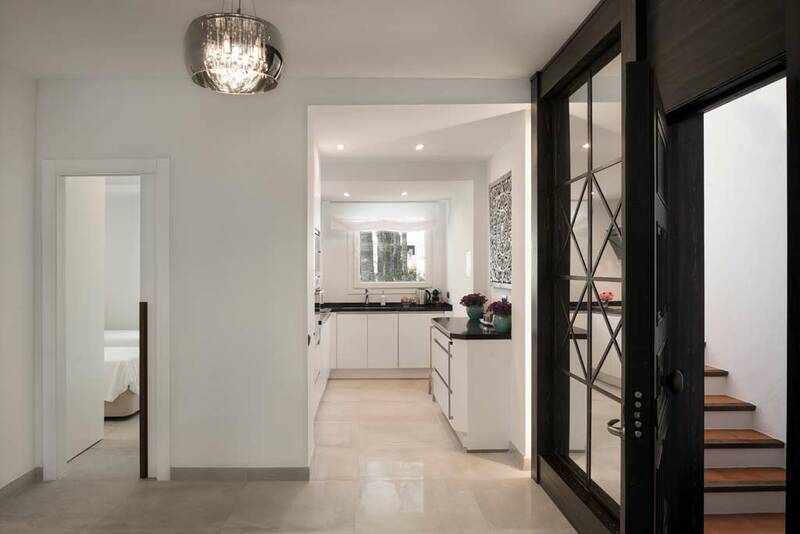 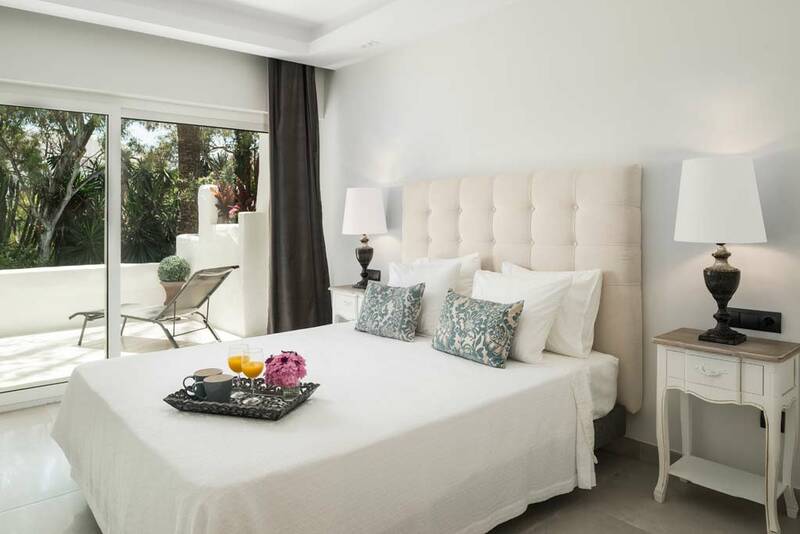 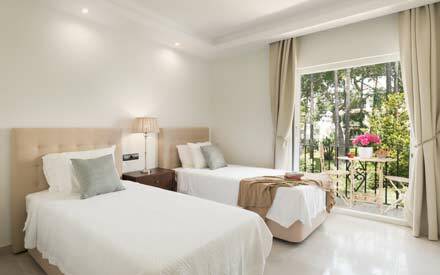 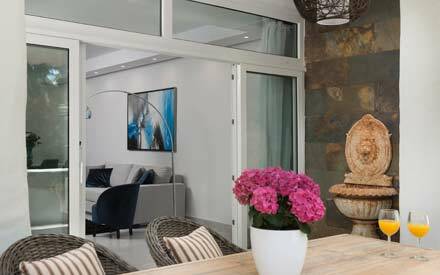 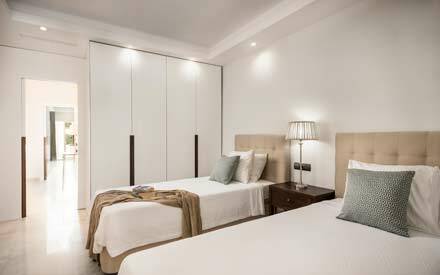 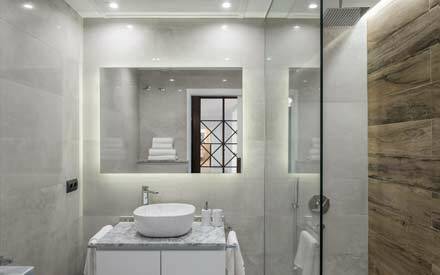 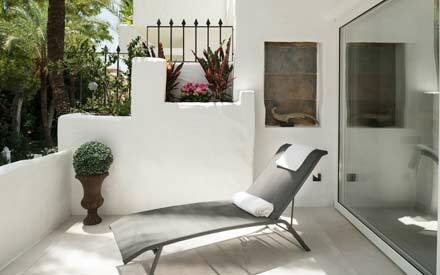 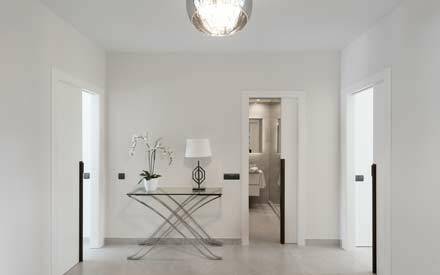 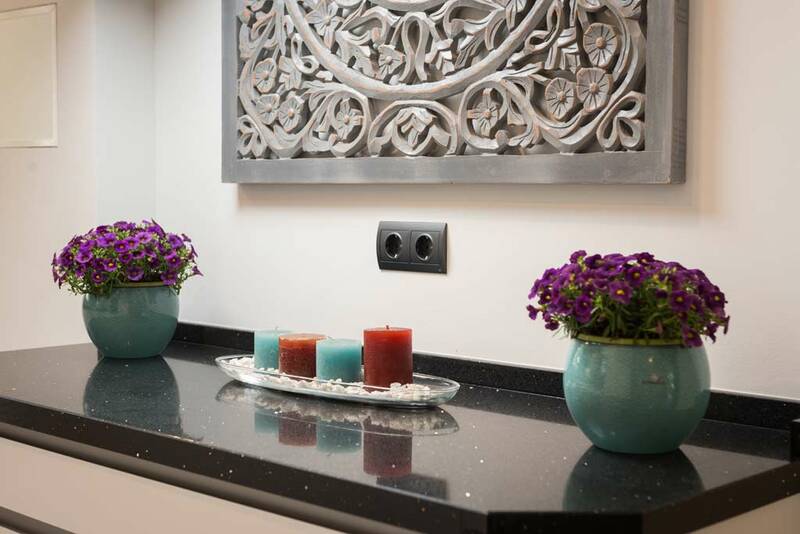 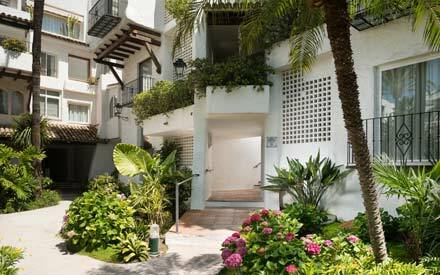 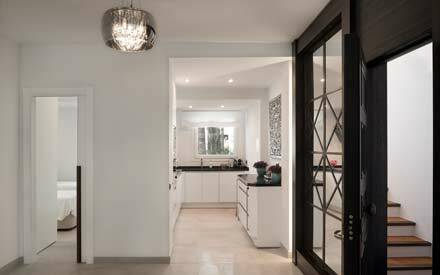 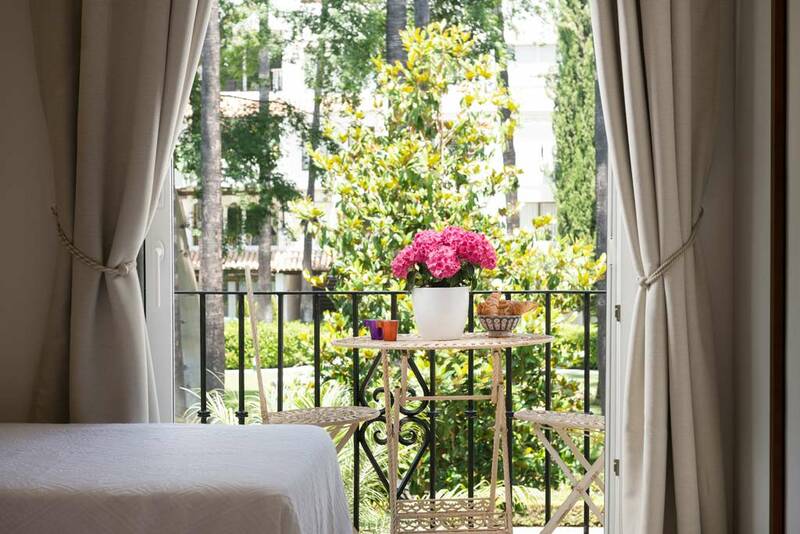 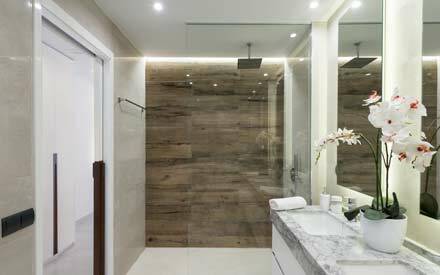 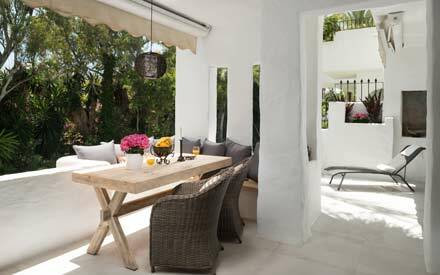 New renovated luxury 2BR Apart, located in one of the most prestigious development “ La Alcazaba ”, just in the heart of Puerto Banus, within walking distance to beach & center where you will find many choices of restaurants, bars, cafes, shops and all amenities one could need. 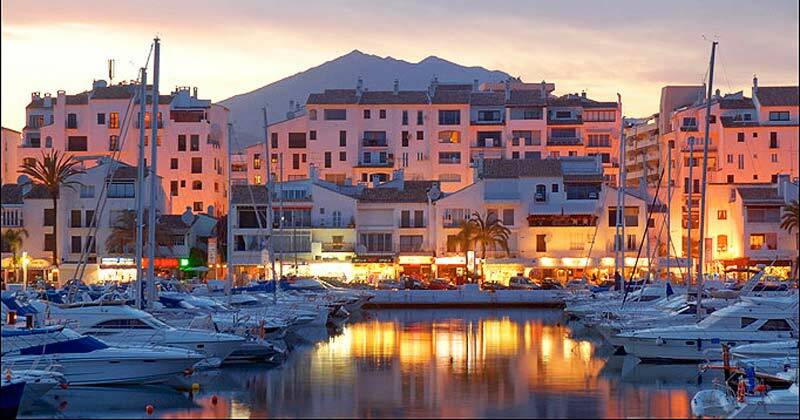 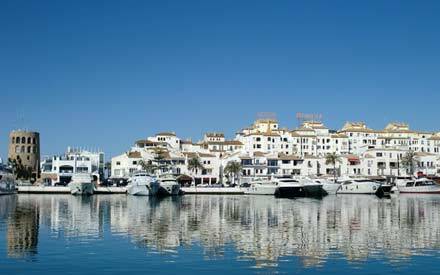 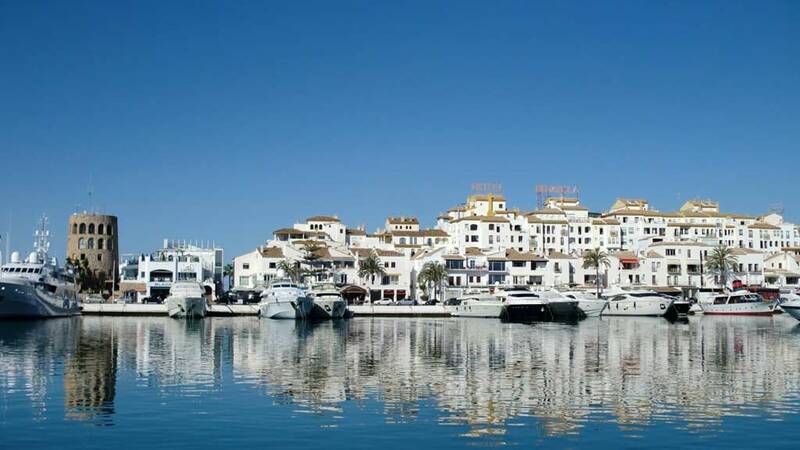 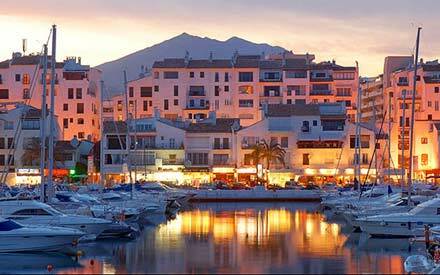 A regular haunt of the rich and famous the large yacht marina which boasts year round sunshine, expensive luxury boutiques, restaurants and bars now attracts up to five million visitors a year. 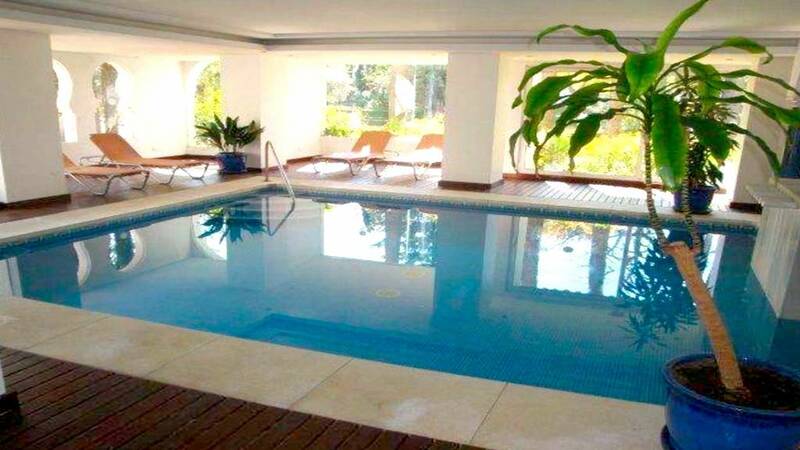 luxury 2BR Apart, located in well known La Alcazaba, one of the most prestigious development surrounded by the award winning gardens & 4 glorious interconnected pools just in the heart of Puerto Banus, within walking distance to the beach and Center where you will find many choices of restaurants, bars, cafes, shops and all amenities one could need. 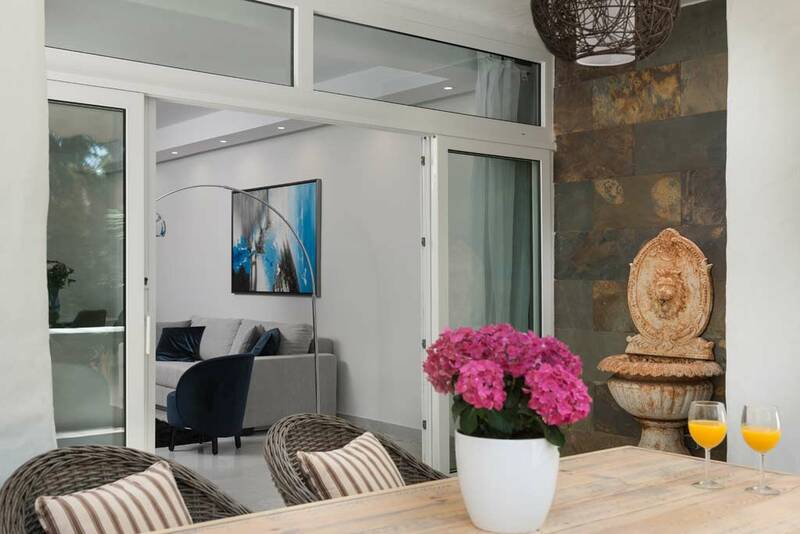 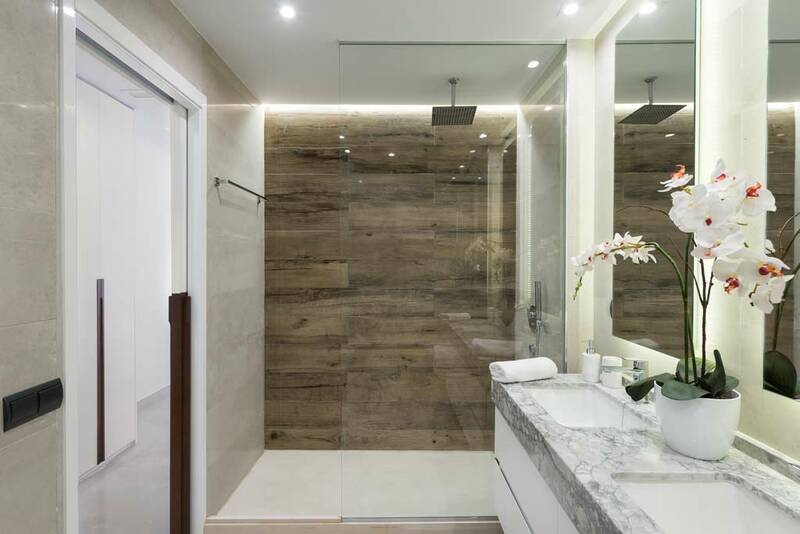 A fresh and new renovated apartment with open floor planing 120 sam, sleeps 6 comfortably , tasteful & modern furnished with 2-bedrooms and 2-bathrooms, each bedrooms has separate wardrobs and cold/hot central airconditionring. 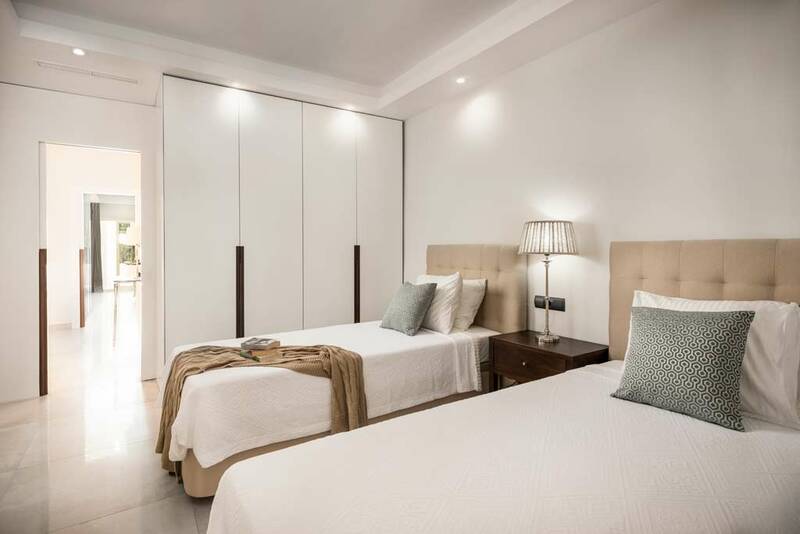 BEDROOM-1 with a double bed and en suite bathroom with direct access to terrace, BEDROOM-2 with two single beds and bathroom with small balcony. 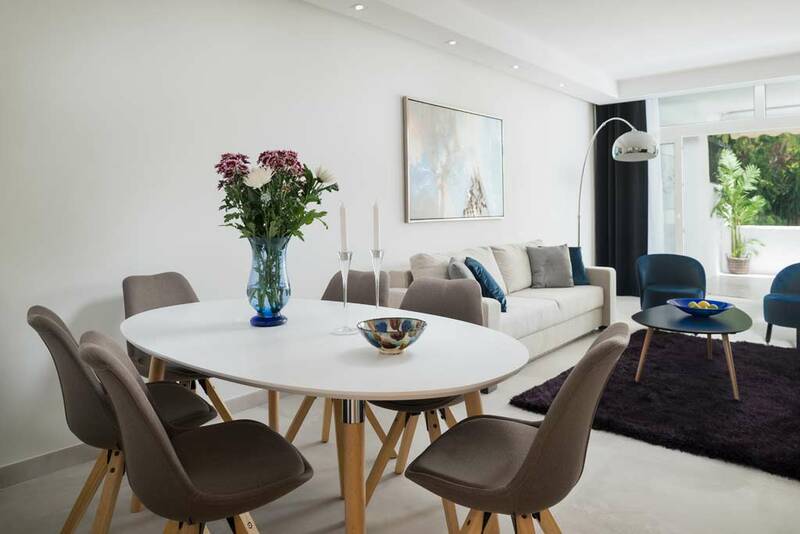 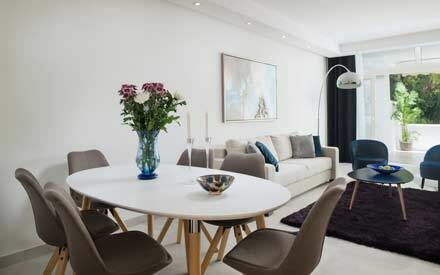 LIVINGROOM with sofa bed for 2 .The apartment offers a perfect distribution with a spacious living-dining room opening on to beautiful and relaxing terrace .The colour schemes and decoration is very light with tasteful decoration. 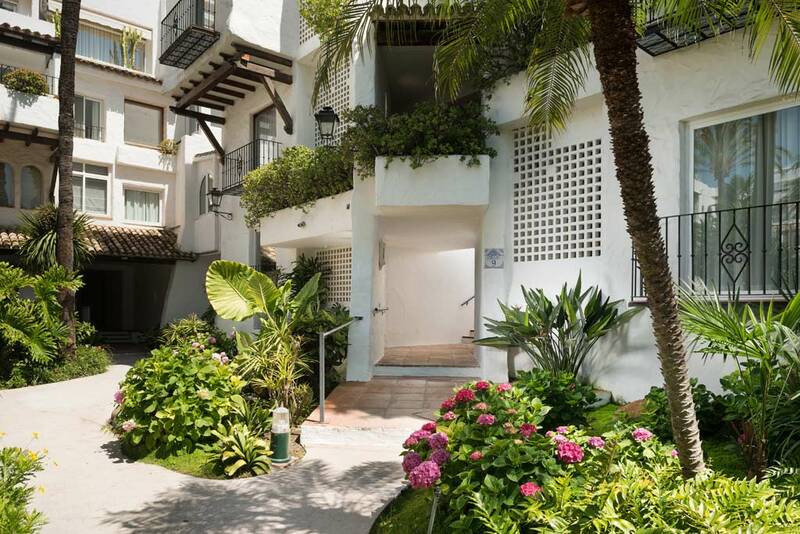 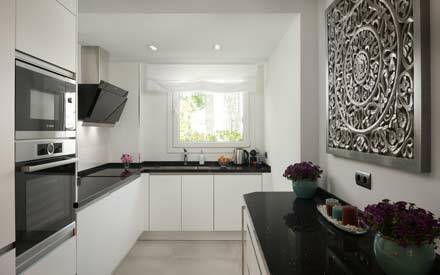 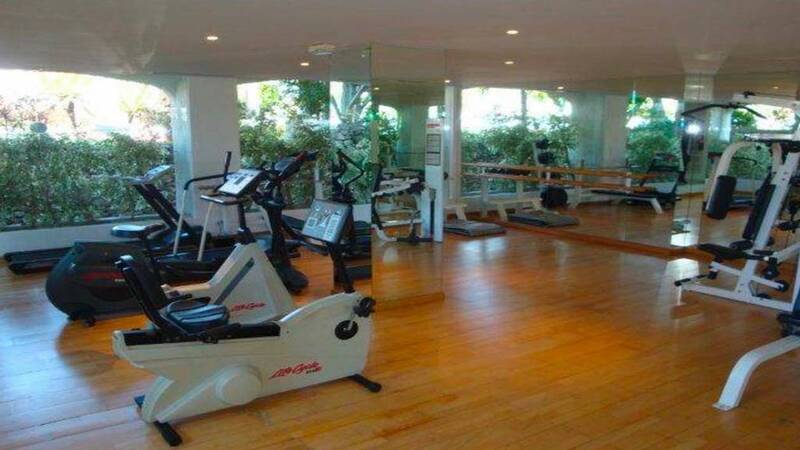 A peaceful & safe environment right in the heart of puerto banns which gives you the opportunity to stay in the city centre but in a very calm and quiet neighbourhood. 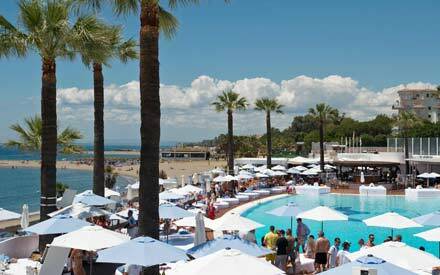 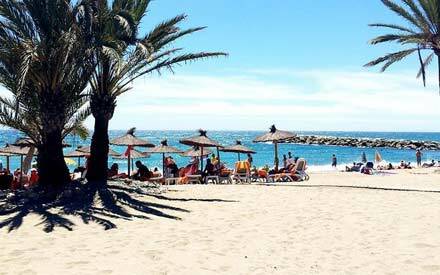 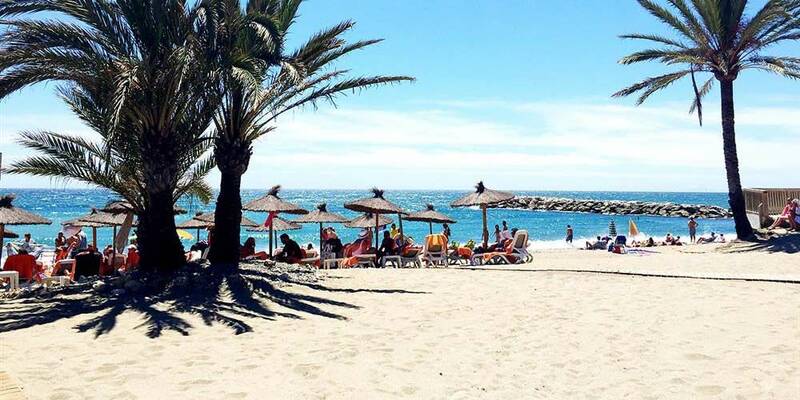 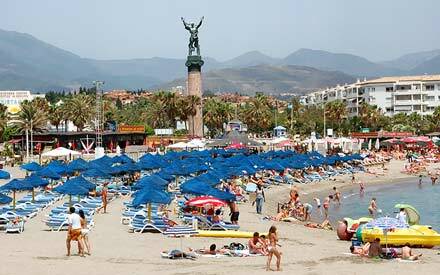 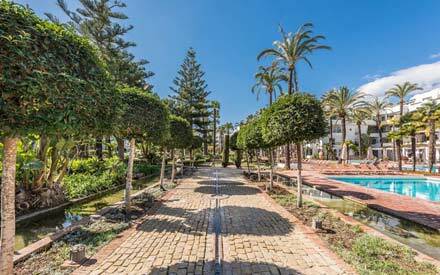 The distance to the beach is just 100m so you can sunbath and enjoy the beautiful beaches at puerto banus beach promenade just with in 2-minute walk. 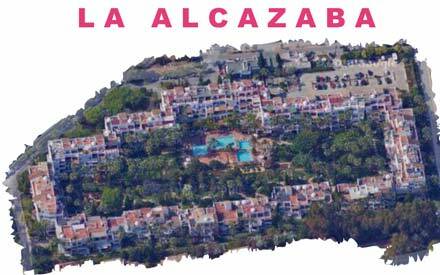 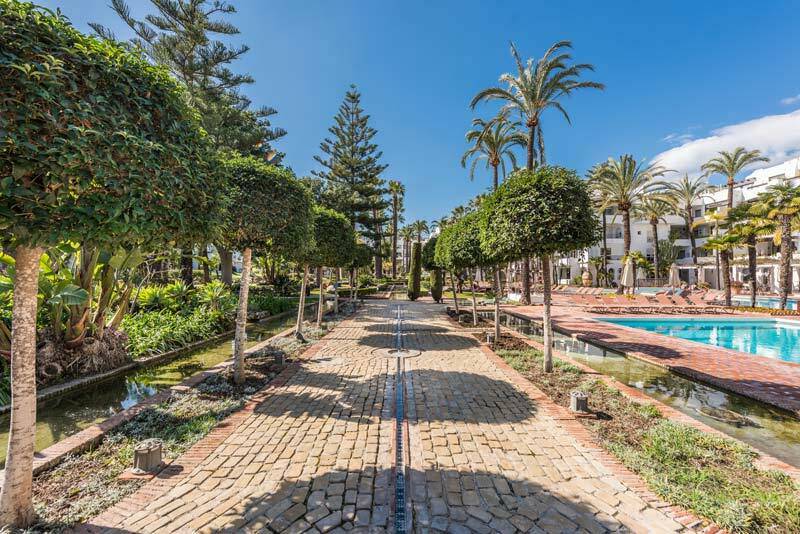 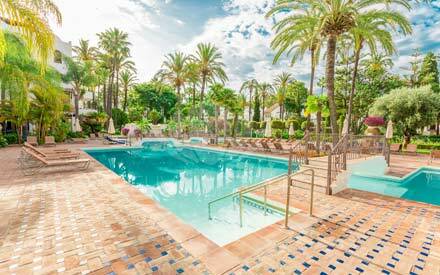 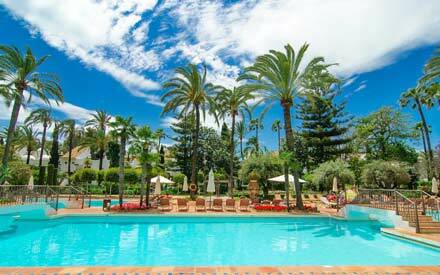 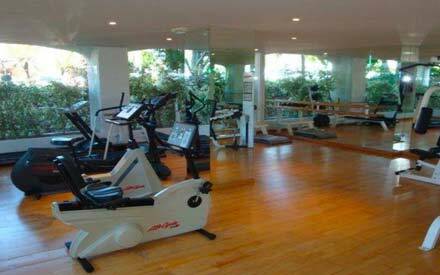 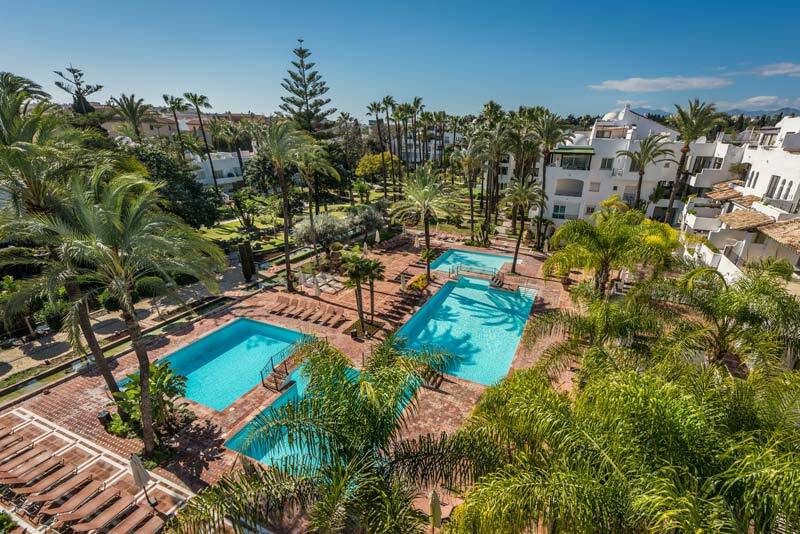 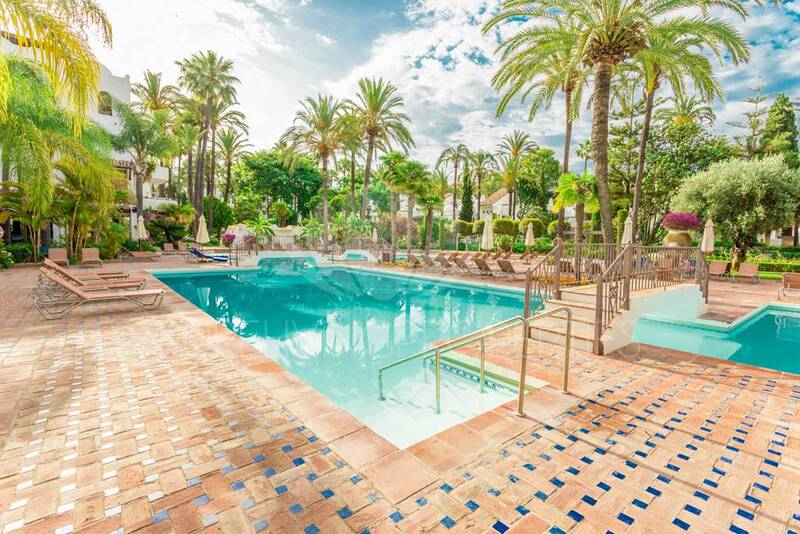 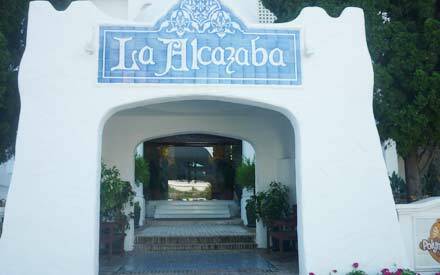 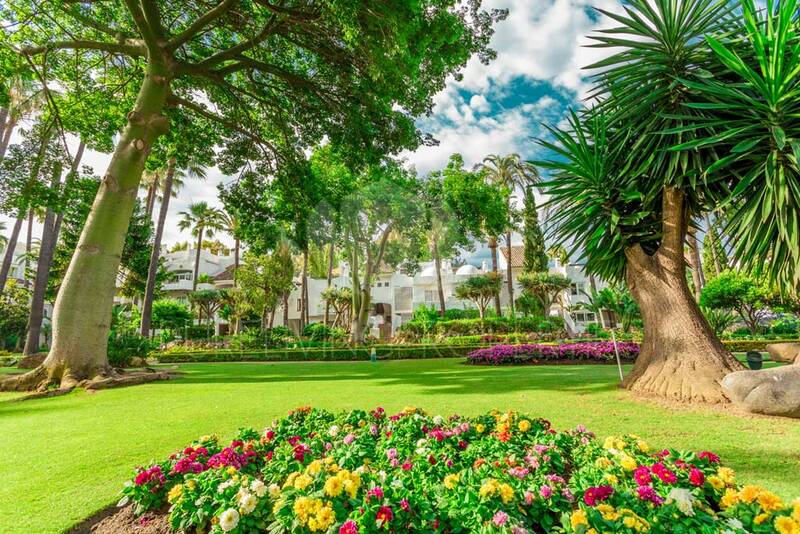 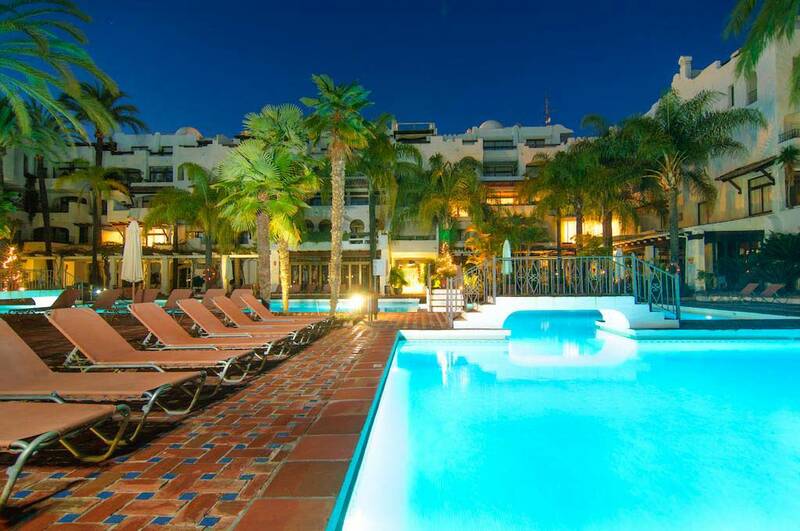 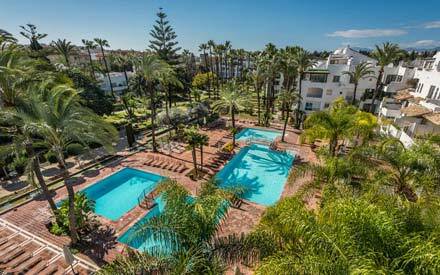 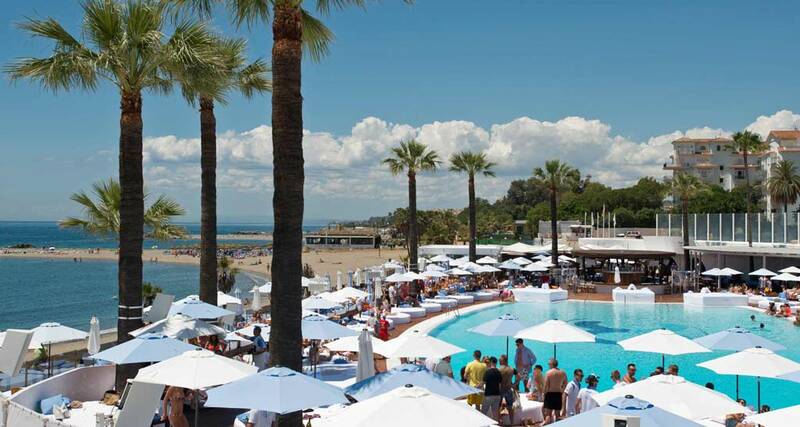 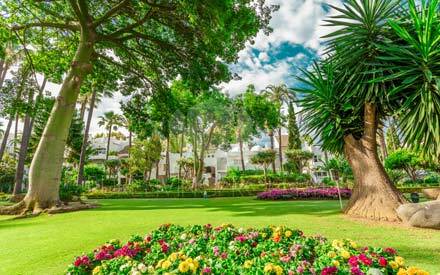 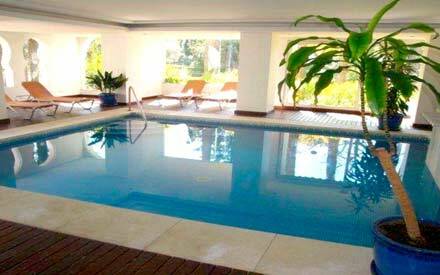 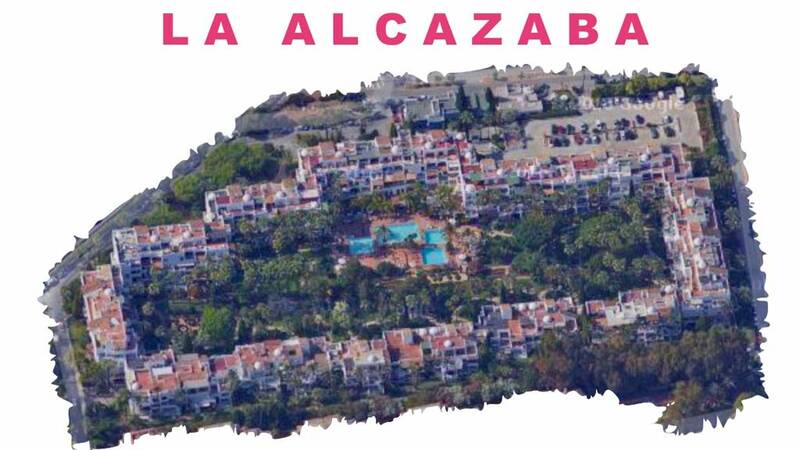 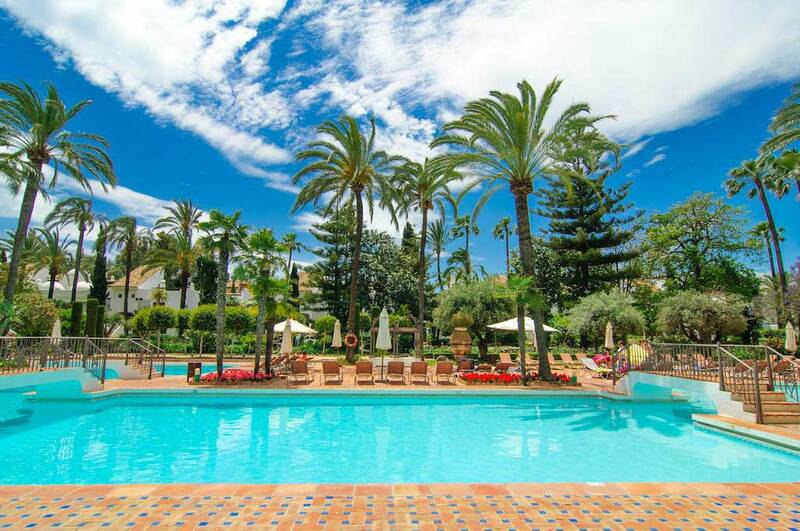 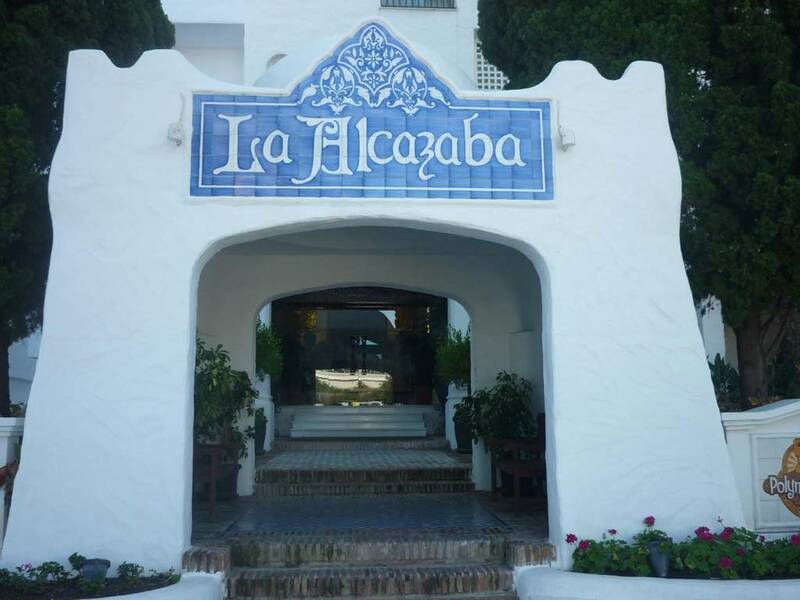 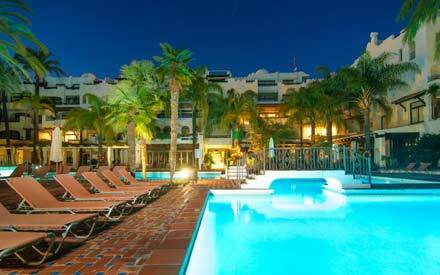 Alcazaba is a tranquil multicultural environment with on-site café, restaurant, gym sauna, indoor heated pool and a fantastic large outdoor pool area which is set in the heart of the complex and gardens. 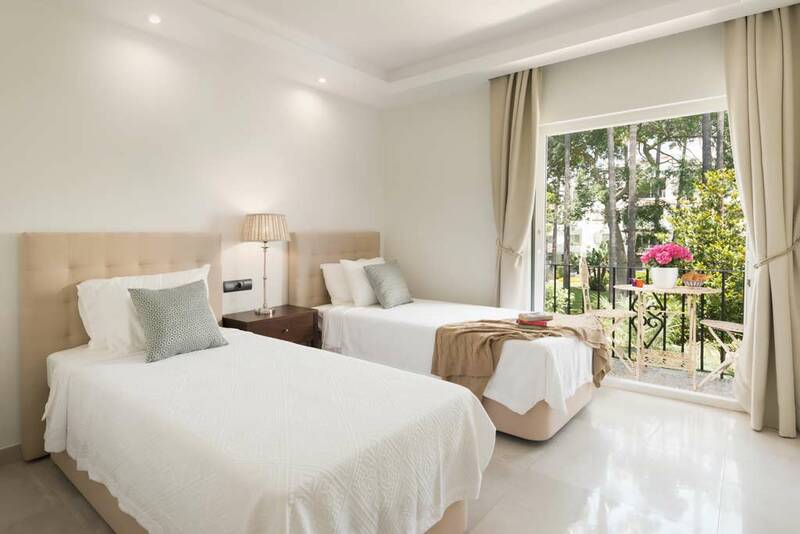 The complex also provides 24 hour reception service with access to any additional services such as, drivers, taxis, medical service, cleaners, baby sitters, local information, activities, etc.